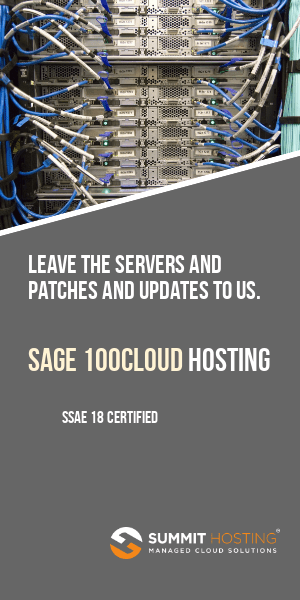 Have you looked at automated sales tax processing for Sage 100 ERP (formerly known as Sage ERP MAS 90 or MAS 200) but found the price too high? If you were only filing tax returns in one state then you may have quickly dismissed the AValara automated sales tax integration as “overkill”. 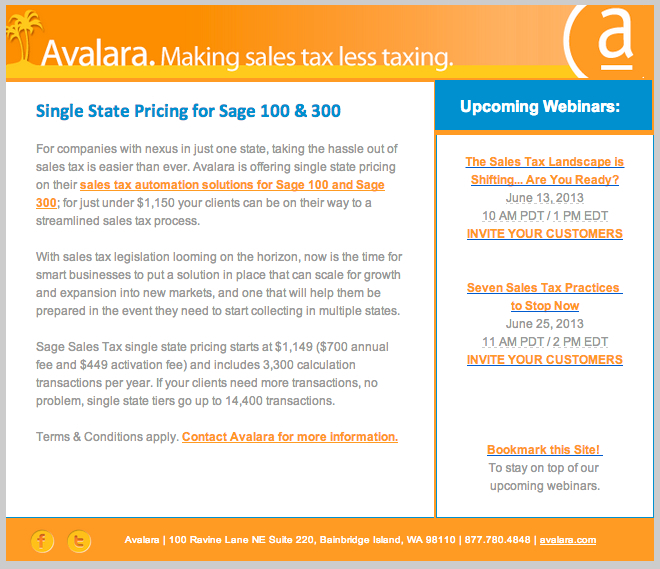 Starting now you can subscribe to Avalara for pricing that starts at $1,149. Included in that price are 3,300 calculations per year. The Sales Tax Landscape is Shifting … Are Your Ready? The world of online search is growing more competitive by the day. If there were a way for your website’s results to stand out from the competition – you’d probably want to know about it – right? How about if the way to make your site standout was completely free and took about 5 minutes to setup? Here’s one way that many site owners are using to standout. They’ve seized upon Google’s new pilot program that links author information in Google Profile’s to web search results. When Google users search the web for information Google now will associate the author of a post (provided they’ve set this up) with the search result. This means the author’s Google profile headshot and a link to add that profile to a Google Plus shared circle will both appear. This is an easy way you can establish credibility with those who are searching as well as standout from competitors who’ve not taken the time to establish the link between their Google Profile and their web site. If you want your author information to appear in search (Google News too) results for the content you’ve created then first create a Google Profile with a good recognizable headshot as your profile photo. Once you’ve completed those steps – notify Google here. It can take a week or so for Google to pick up on this (provided that you’ve followed the setup instructions precisely). And when they do you may not see every one of your blog posts indexed – rather you’ll see a few posts at a time gradually have your profile headshot and Google circle link added. The results is a search result that stands out from competitors and conveys more authority – and hopefully translates into greater results for your company.